If Donald Trump had the close ties to Russia that his enemies claim, have you ever wondered why Putin continues to show aggression towards America? 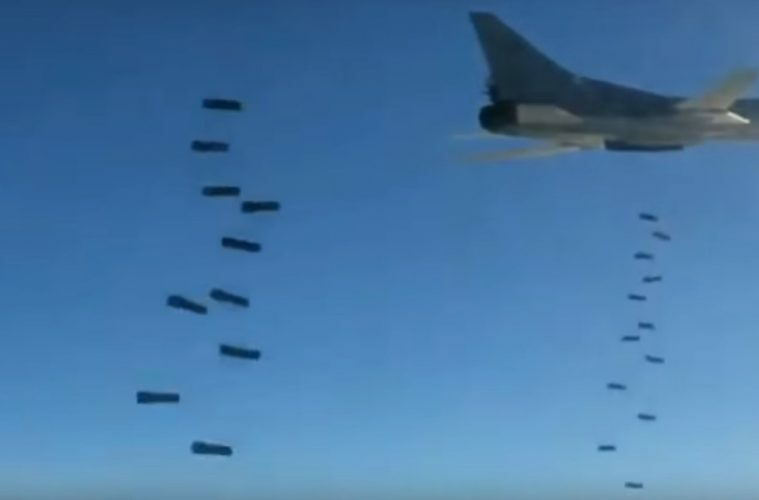 On Tuesday, the Russian military bombed targets very near to US Troops in Syria. While the bombs did miss the American forces, they did strike US-backed forces that were also fighting against ISIS. Russian air forces bombed a site close to U.S. troops in Syria on Tuesday, a near-miss in the fog of war against the Islamic State — though the strikes still hit U.S.-backed forces. U.S. Lt. Army Gen. Stephen Townsend said Wednesday the incident occurred after Russian pilots began bombing what they thought were ISIS fighters in a “bunch of villages” in northern Syria. They ended up hitting forces with the U.S.-backed Syrian Arab Coalition. U.S. troops were several miles away, and the bombing stopped after U.S. officials made “quick calls … to deconfliction channels,” said Townsend, commander of Operation Inherent Resolve, the joint operation to stop ISIS in Iraq and Syria.